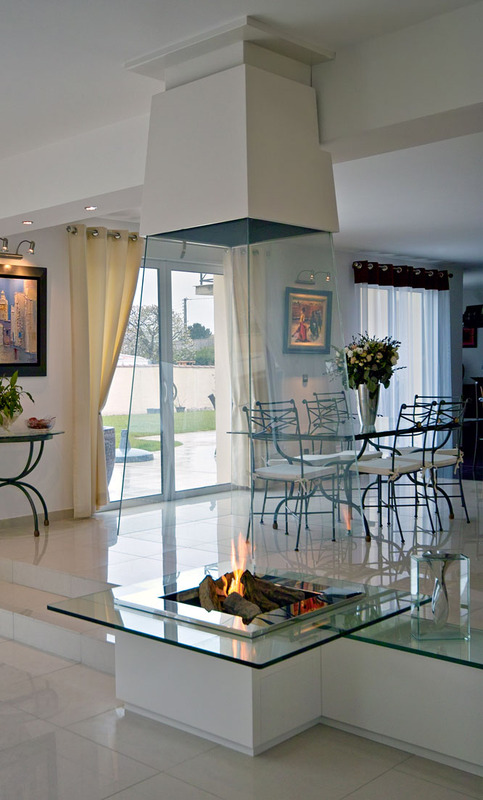 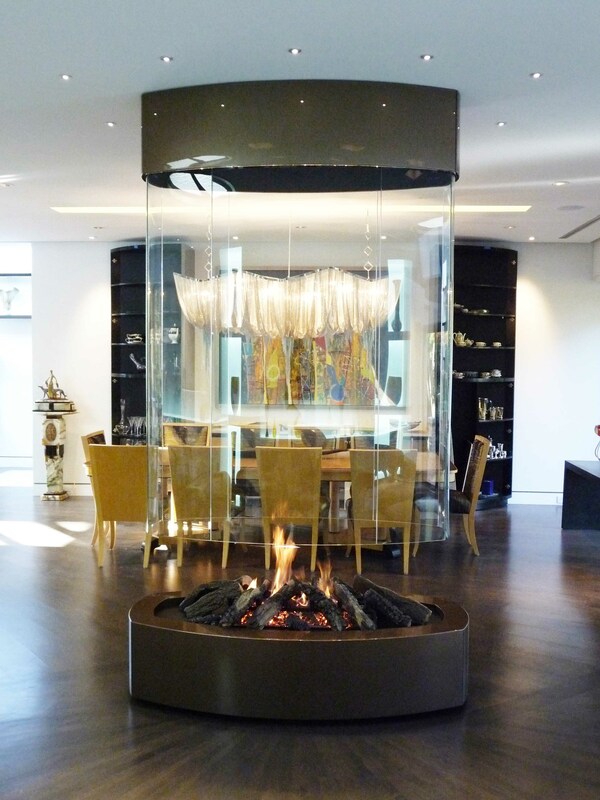 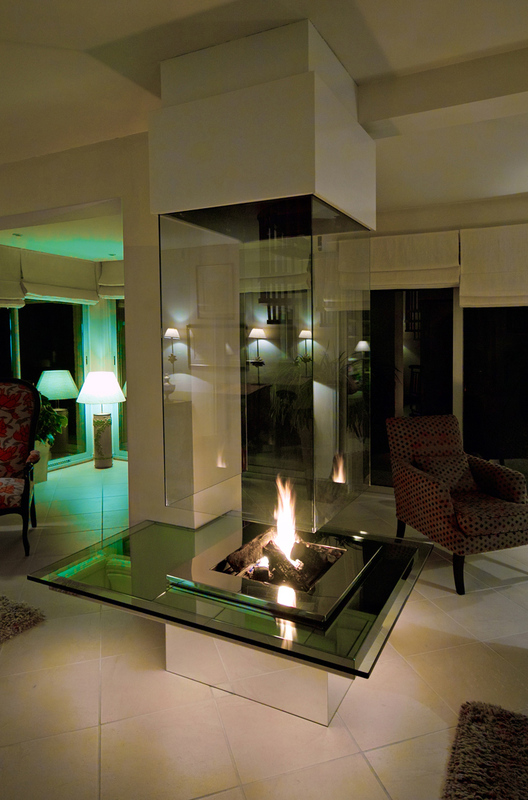 Suspended fireplaces look spectacular and will transform your architectural interior, bringing elegance, character and style, as well as more light and transparency when free hanging fireplaces are in glass. 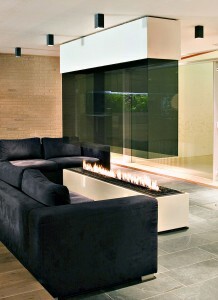 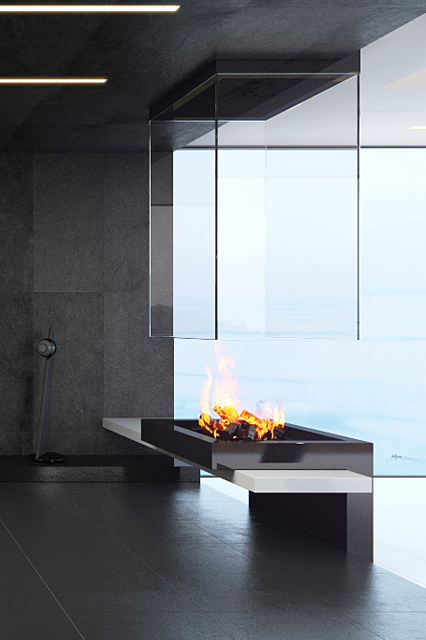 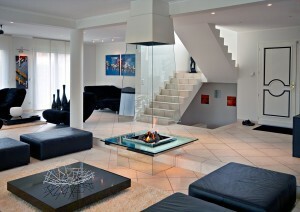 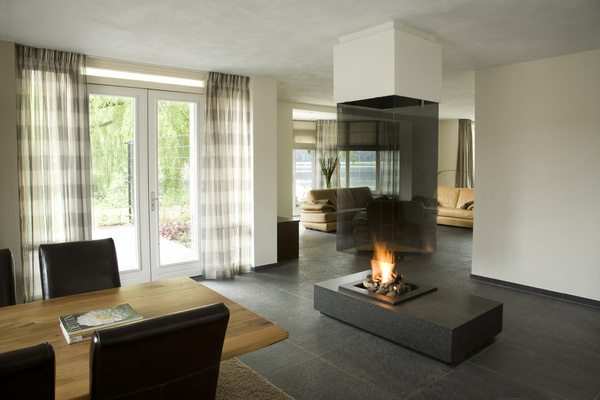 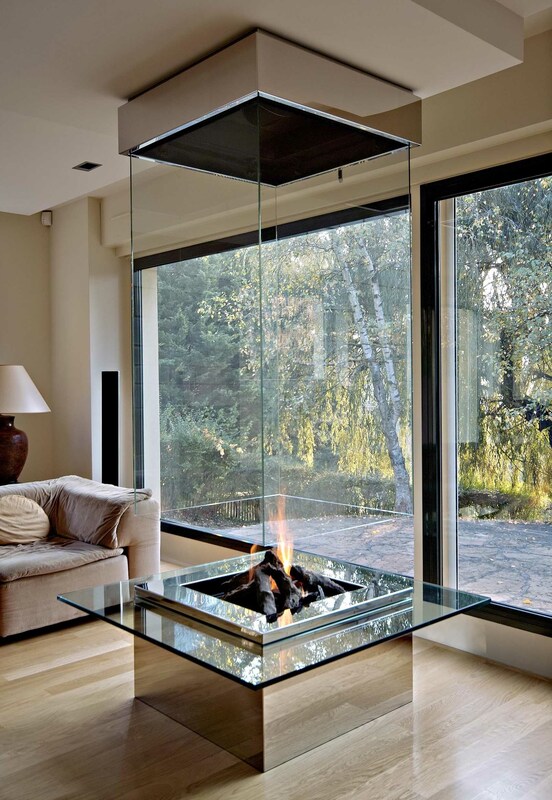 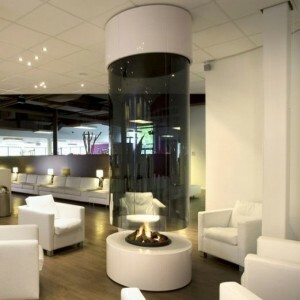 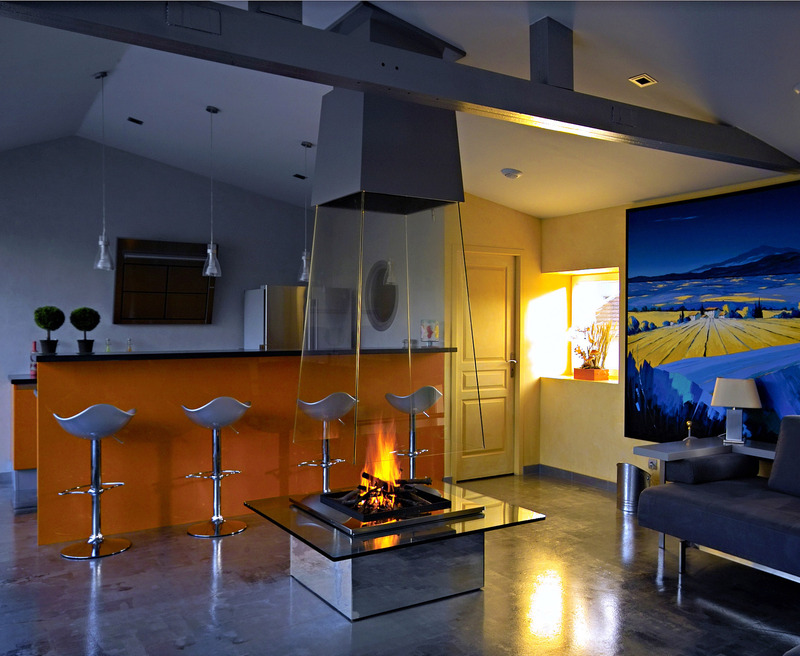 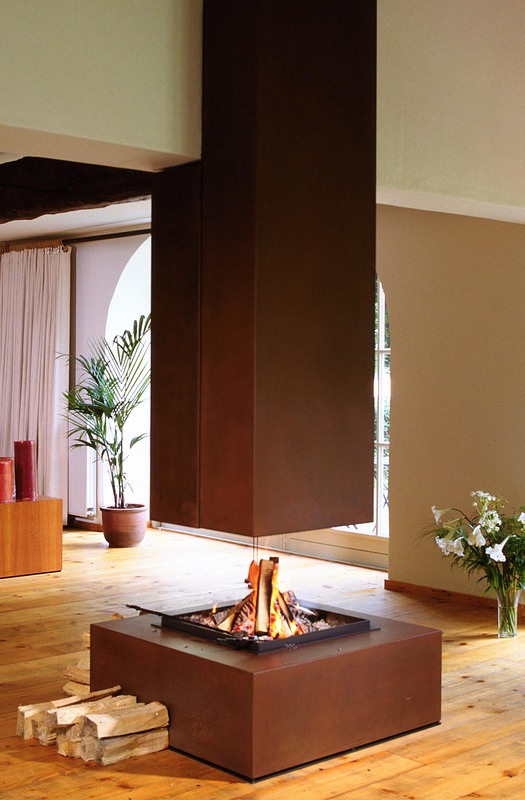 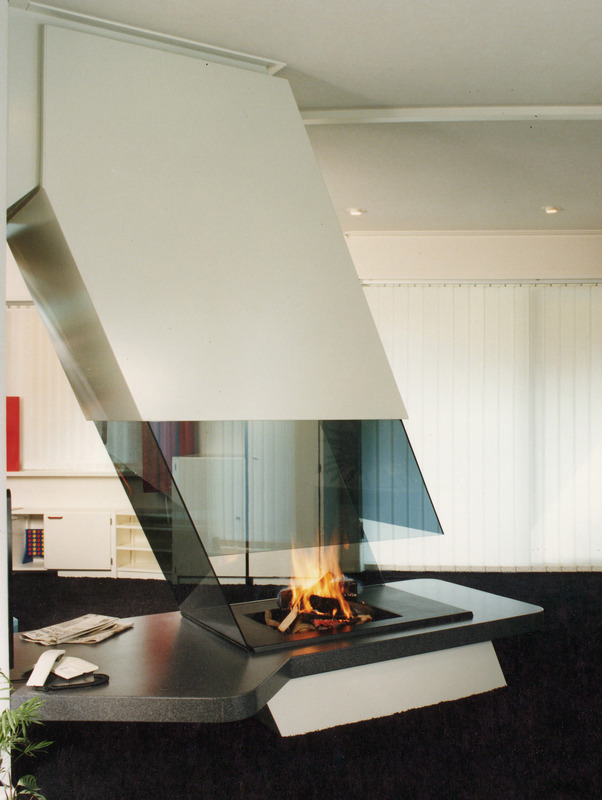 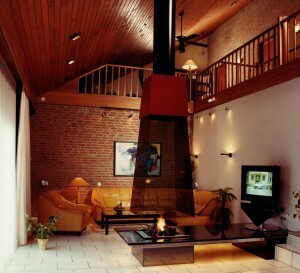 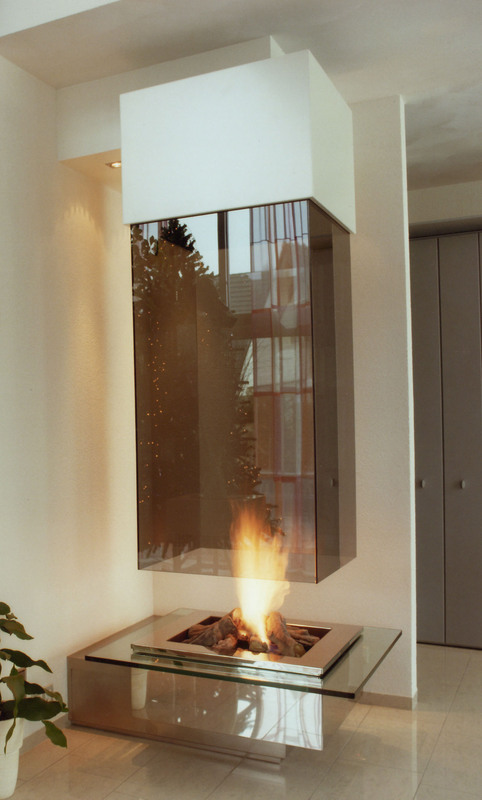 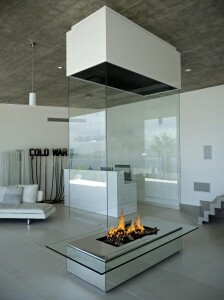 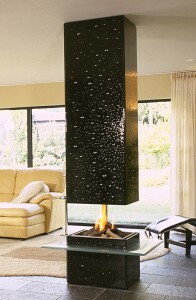 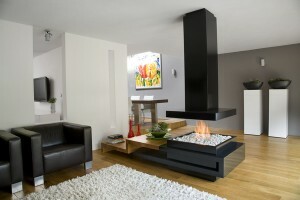 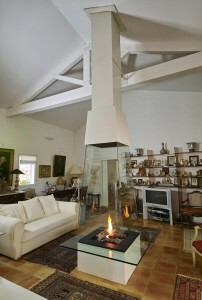 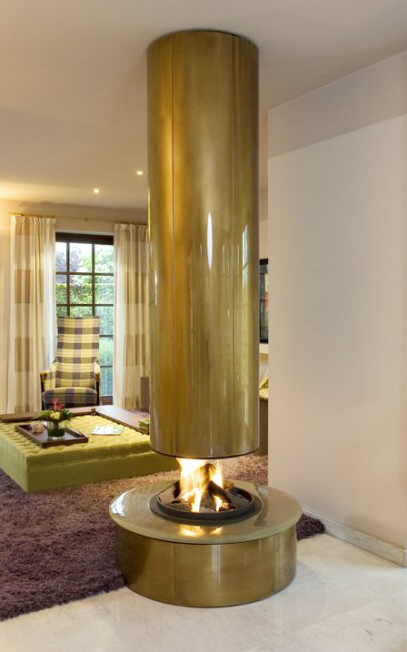 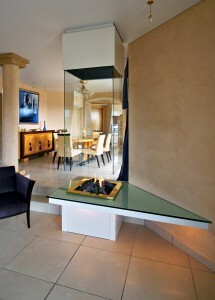 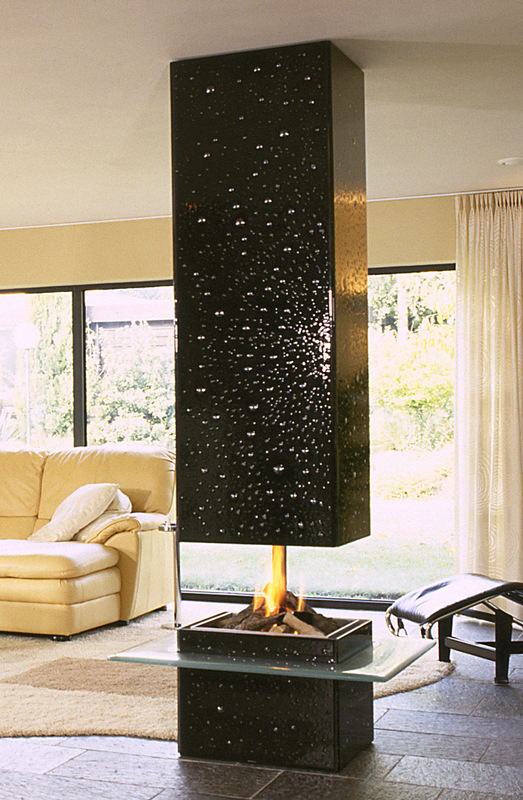 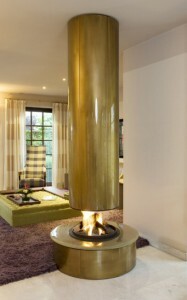 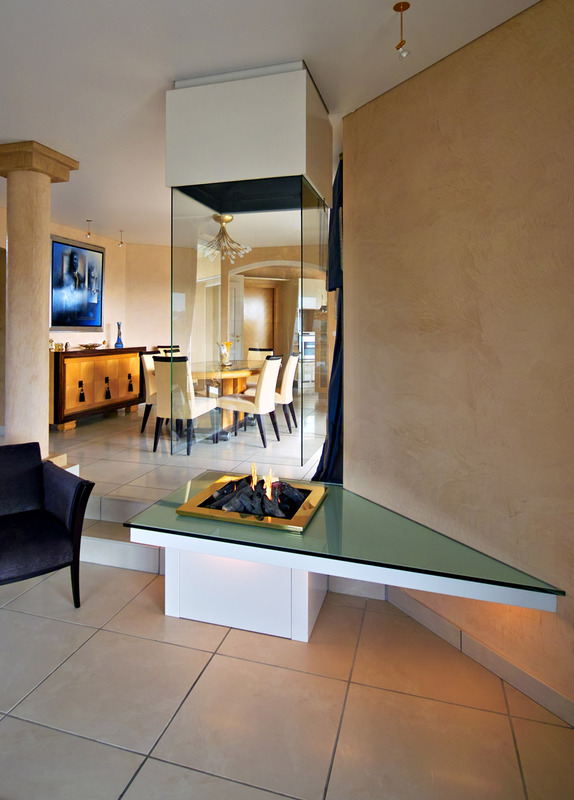 Suspended fireplaces designs are minimalist, adding a creative and stunning accent to contemporary interior. 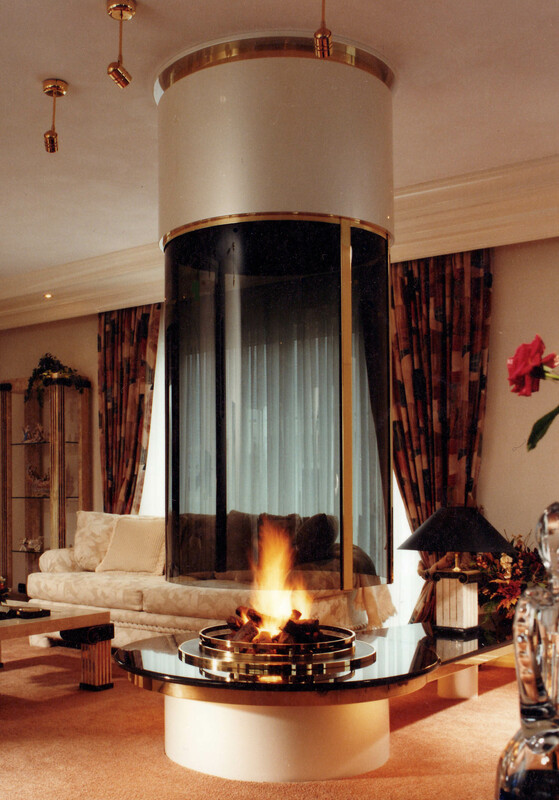 Our hanging fireplaces will become a centrepiece in your home, a fire sculpture adding personality to your interior design and decor. 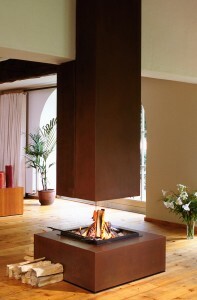 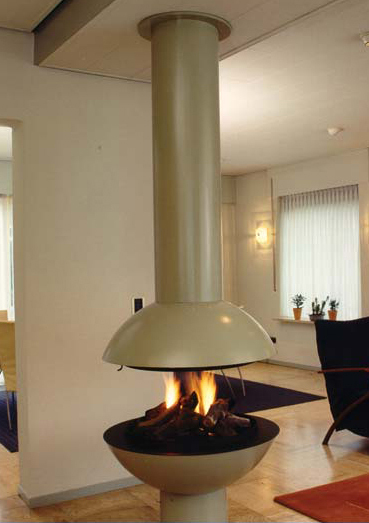 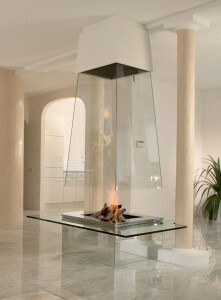 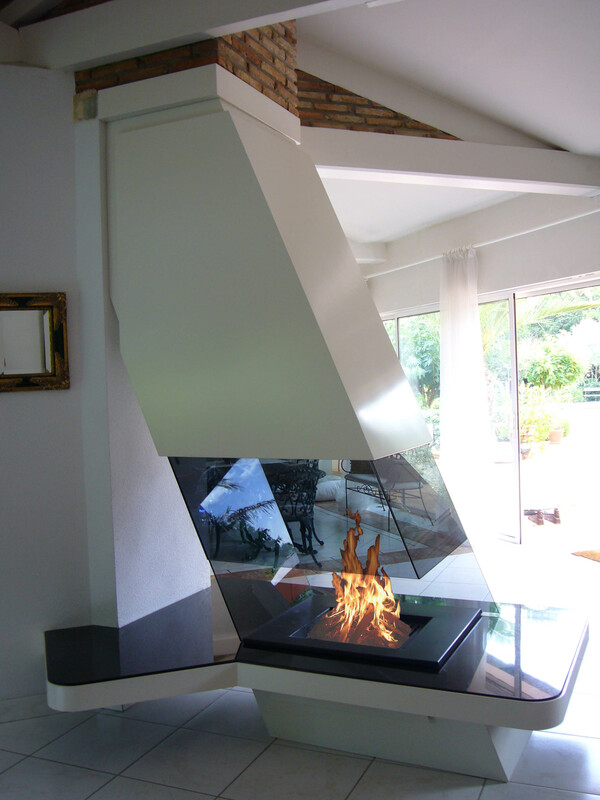 Suspended fireplaces can function with wood, gas or ethanol and be open, closed, two sided, rotating, etc. 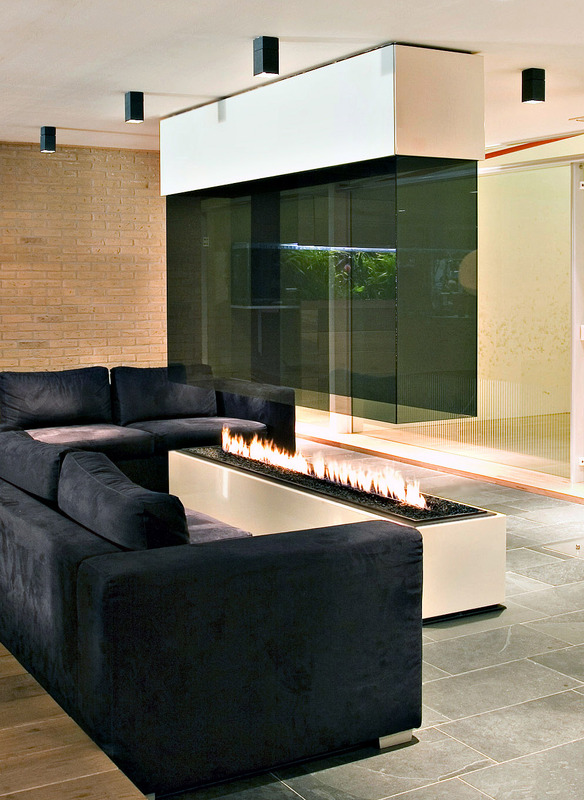 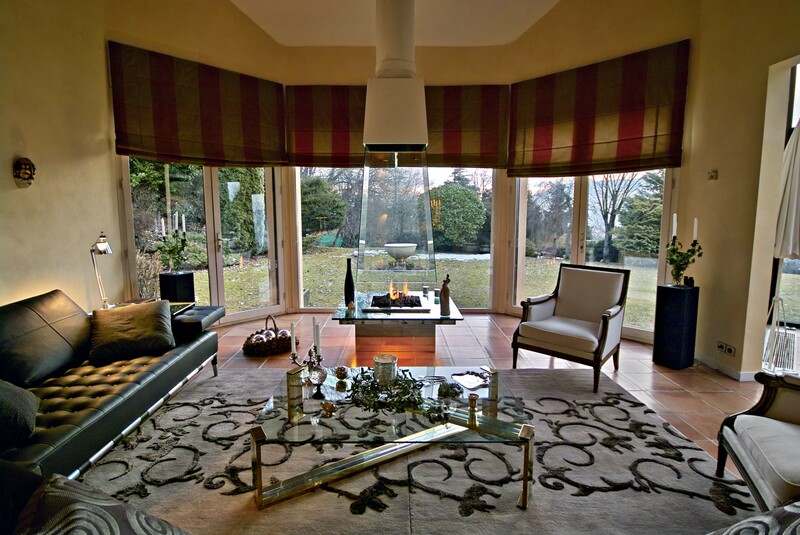 Hanging fireplaces can be located in the center of a room, between two rooms, in a corner, or outside under a patio.